We can all use help building our English vocabulary. There are many words in the English vocabulary that most of us are not even aware of. In addition, learning new words can often be looked at as difficult for students. It is also very challenging when it comes to trying to master the English language. Nonetheless, there are some things you can do to get accelerate your English learning and expand your vocabulary. We found a few vocabulary books that can increase how many words you know and learn. 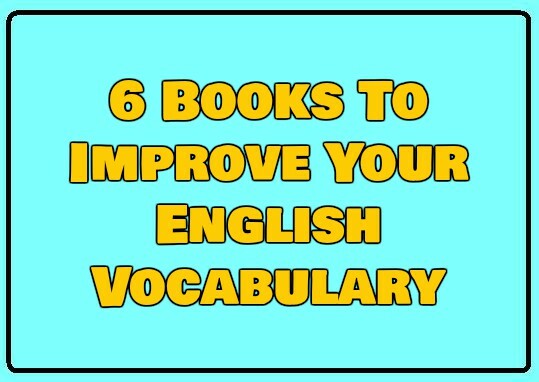 Using these 6 books to improve your English vocabulary can vastly assist you. These books are also an excellent way for people trying to learn English or get better at it. Remember, expanding your vocabulary will open a huge amount of doors for you. Not just academically, but also professionally. Employers will take notice in applicants who express themselves properly. In addition, your grammar is also something employers look at. The more words you know, the higher your understanding will be. That means there will be more jobs opportunities for you and more different tasks you will be able to do. Learning new words in English is crucial and important for numerous reasons. If you know more words, there is a lesser chance you will make grammar mistakes. Or that you will break any grammar rules. Having an expanded vocabulary will make you a person who can be understood by more people. Since every all situations are not the same, you will need to know what words to use depending on who are speaking to. You will know what words to use and that, in turn, will make you a person who can relate to anyone. Plus, you will be able to say the same things using different words. One of the biggest problems most people with a limited vocabulary have, is their inability to express themselves. Since their knowledge of the English vocabulary is limited, so will knowing what to say. The more words you know, the better you can communicate with others. And the easier it will be for you to say what you want. Studying and learning is not something most of us are fond of. Or a situation we look forward to. Studying and learning are often seemed as work. And the truth is that no one really wants to do school work – or any type of work – unless they truly have to. That is why it is imperative that you make your learning new words engaging and fun. If not, you will get bored and not want to do it at all. Using flashcards is an antiquated system most don’t enjoy or want to do. Fortunately, there are other methods you can use to learn new words. You can use group chats and play challenges to see who can come up with a new word. There are also many apps out there you can use on your mobile devices. These apps are designed to make learning new words fun. Some people use word challenges and other methods. A great way to make your vocabulary expansion quest better, is by taking on a new word daily. Pick a random word to learn each day. If you enjoy that method, you can begin learning more than just one word each day. Before you know it, you will have gone through the entire English dictionary. 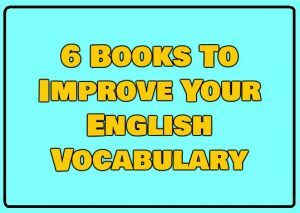 No matter which method of learning new words you use, these six books below can increase your knowledge of the English language. See which one you think will work best for you. Oxford Picture Dictionary – This is a great book for those who like to learn things visually. You can use the images to learn new words each day. There is also a bilingual version for those that want to learn using their native language. McGraw-Hill Essential ESL Dictionary – Since this dictionary was created to specifically help people learn English, it is a great book. That makes each word easy to understand. The book also contains several other resources to make your learning better. NTC Vocabulary Builders – Students who are more advanced in the English language, will greatly appreciate the NTC Vocabulary Builders book. If you want to be a proficient and impressive English speaker, then this book is essential. Word Power Made Easy – This useful dictionary provides a very fun way to teach students of the English language a way to learn. It is one of the best ways to learn over 1,000 of the words which are most frequently used in English. The book has several activities and games which make learning new words fun. English Vocabulary in Use Series – The English Vocabulary in Use Series is one of best-selling books by Cambridge University Press when it comes to series. Students of the English language of all levels can benefit from this book. You can choose to learn British English or American English. 504 Absolutely Essential Words – For those that want to learn the most basic words in English, this book can deliver. The great dictionary uses over 500 of the most essential words in the English dictionary. Improving your vocabulary is one of the best ways to ensure that you will do great in life. It can open many doors for you both professionally and personally. For those who are not native English speakers, these books will come in handy. With some work and dedication, anyone can be a master of the English vocabulary.